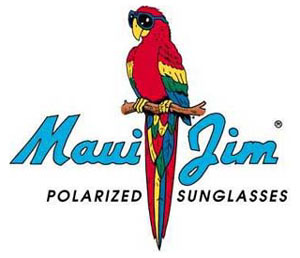 Maui Jim Sunglasses, the forerunner in polarized sunglasses with their patented glass. Wild West designed their logo (a similar version is still in use) and went on a wild ride with the company through three owners and a bankruptcy ending with the company worth over ten Million dollars. During a ten year stint Seal not only designed their logo, but all advertising, collateral material and a trade show booth.